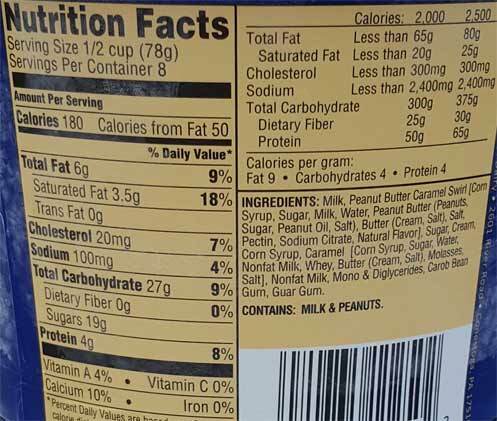 [Only for 2016] Funny, here we are again with another caramel and peanut butter combo. The Target version was a lot of fun because of all the mini pb cups, so let's see how this compares. 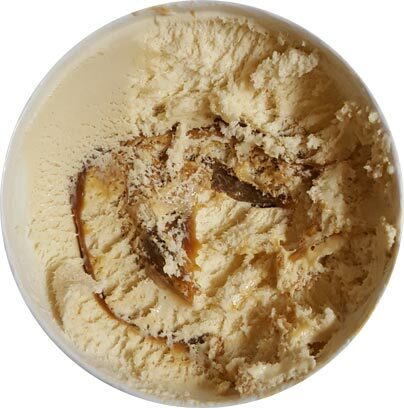 I wasnt really a fan of the caramel cookie gelato swirl and so I don't really have high hopes here either. I want it to be good but I just don't think these swirl varieties have the same simplicity that the non-swirl flavors have. You can see a hint of swirl on the side. You know what? It tastes like peanut brittle, but maybe not in a good way. 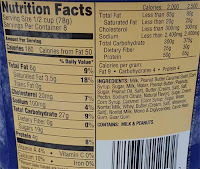 There is just so much peanut flavor that it's almost overwhelming. I like lots of flavor but this is a bit much. I taste the swirl and it's kind of odd. I start to question if the swirl has a mild alcohol-y vibe that I get with some random flavors. I just don't know how to describe it really and I'm not sure I want to eat any more of the swirl by itself to figure it out. The texture is amplifying the oddness of the flavor. This is what I was trying to say earlier. 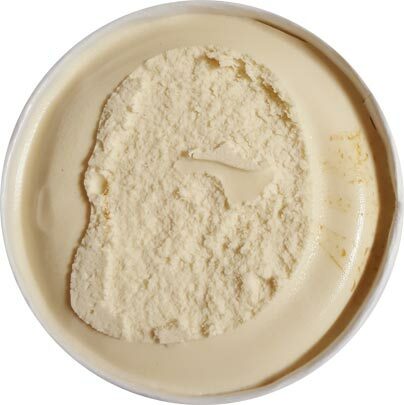 Straight Turkey Hill gelatos have textures that are more like their all natural flavors, but these gelato swirls are more like frozen dairy dessert. It's just kind of a gummy mess when you try to swirl it all together to see if the flavor balances out a bit more. The first scooping has not made me a fan. On Second Scoop: When you take a bite, it starts off as peanut brittle but ends as this weird, overly strong peanut something kick. I don't know if it's a bad flavor per say, but I just don't like it. I know I should appreciate how strong it is, but I just can't. I don't like when flavors punch you in the taste buds. It's just not my thing. Tone it down a little and add a crunch factor (maybe a handful of peanuts if you have them handy) and let's go from there. I only have cookies or pretzels at the moment and I'm not sure either of them will work here. This flavor boils down to this weird thing where I don't hate it yet I'm sitting here thinking "do I really want to finish this?" 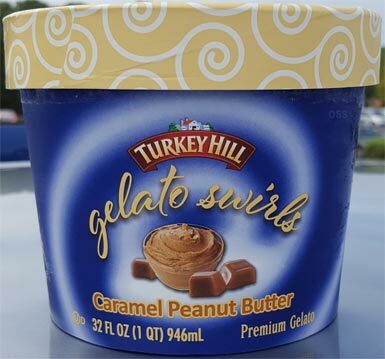 As an avid TH fan, I found the gelato swirls lineup to be a huge disappointment :( TH's ice cream is phenomenal; I think they need to stick to that and let companies like Talenti keep doing gelato. I thought this was awful! Funky flavor. Hard to describe. I never throw ice cream out but I just couldn't finish this one. Darn I should have read about this ice cream before I bought it. At least I only paid $0.99 cents at the Grocery Outlet, so if it's bad at least I didn't pay full price. Being at the grocery outlet means most likely it's been discontinued.... YUP! It's dead!